With both Judith Arndt and Kristin Armstrong retired, the way is paved for a new woman to become the world time trial champion. Arndt had been the dominant force in elite woman’s time trialling, having won two consecutive rainbow jerseys in 2011 and 2012, while Armstrong won Olympic gold in both Beijing and London; but both have since opted to bow out of the sport. As a result this year’s race will take place with no defending champion, and with a number of riders capable of winning. Where: Tuscany, Italy. Firenze Cascine to Firenze Mandela Forum. When: 3.00pm BST Tuesday, September 24th, 2013. 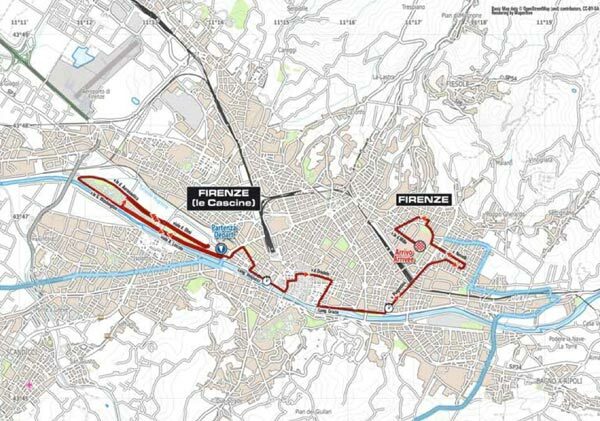 Whereas the men’s course is the longest in the event’ history, the women have been presented a route a little shorter than usual, at just 22 kilometres. But the terrain is just as flat, which, added to the lack of tight corners, as well as the the extra reserves of energy available for the riders due to the shortening of the route, ought to make for some very quick times. Although superstar Marianne Vos has had an exceptional season even by her very high standards, time trialling is not her forte; instead, her compatriot Ellen van Dijk has won the most races against the clock this season. Encouragingly, the 26-year-old seems to be on top form leading into Tuscany, having won the Chrono Champenois-Trophee Europeen time trial and the overall at the Boels Rental Ladies Tour both within the past month. Van Dijk goes into the race therefore as favourite, but several other riders will fancy their chances. Swedish time trial champion Emma Johansson is one of the most reliable performers in the peloton, as well as being ranked number one in the world and finishing second to Vos in this year’s world cup. As one of the few to defeat Van Dijk against the clock this year, a first rainbow jersey for the Swede is a possibility. Last year’s silver medallist Evelyn Stevens will hope to go one better this season. The American has had a relatively disappointing season, with her victory riding alongside Van Dijk in Open de Suede Vargarda team time trial world cup race in August one of her few wins, but has the ability to pull off a big win. Australian Sarah Gillow and German Lisa Brennauer – another teammate of Van Dijk’s – have often finished just behind the Dutchwoman in time trials this season, so are both good shouts for medals. Britain’s sole representative this year was set to be Emma Pooley. However, the 2010 champion has opted to skip the race in order to focus on her PhD in geotechnical engineering.